3 - Why test ? A test is performed to verify that the system is conformed to the specification and is the most important part of code quality. In a “test-driven software development (tdd)” model, unit tests are written first. Testing is questioning a product in order to evaluate it. Testing can only reveal the presence of errors, not the absence of errors. Testing might demonstrate the presence of bugs very convincingly, but is hopelessly inadequate to demonstrate their absence. If the customer is able to understand or even write the tests, than they can serve as a requirements collection. If the tests are written in advance, they serve as a requirements specification. While implementing, they give feedback how far we are. They delivers an up-to-date documentation. There are trade-offs between testing/QA effort vs confidence. The ease of testing a function is inversely proportional to the number of levels of abstraction it deals with. Why test, it allows ? structure the code. If you cannot do a test, it means that your function is too complicate and must be splits. to improve documentation. A test demonstrate minimal interaction with the code. to not be afraid of merge. Work in Parallel: People are not comfortable when code development happens in parallel without test. The basic strategy is to give an owner to the entire code. The code is then just locked by one person. the PHP and the Oracle parts are still under control. If it costs $1 to find and fix a requirement-based problem during the requirements definition process, it can cost $5 to repair it during design, $10 during coding, $20 during unit testing, and as much as $200 after delivery of the system. Thus, finding bugs early on in the software life cycle pays off. Testing is like documentation. More isn’t necessarily better. the transactional volume. If you receive 100 records by day and then suddenly 20, you may have an error in the change data capture process. When you can't directly access the data source (e.g. web-service data source), the data can be stored in a staging area just for testing purposes later. and the load cycle performance as well. 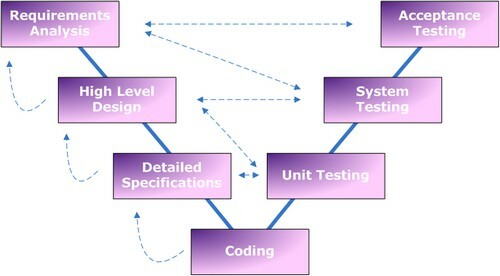 Tests are frequently grouped by where they are added in the software development process, or by the level of specificity of the test. Integration testing. Works to expose defects in the interfaces and interaction between integrated components (modules). System integration testing verifies that a system is integrated to any external or third party systems defined in the system requirements. System testing. Tests a completely integrated system to verify that it meets its requirements. A smoke test is used as an acceptance test prior to introducing a new build to the main testing process, i.e. before integration or regression. Example of functional test: A table must shows only 20 rows and shows No Data in case of empty table. Regression testing is any type of software testing that seeks to uncover software errors by partially retesting a modified program. The intent of regression testing is to provide a general assurance that no additional errors were introduced in the process of fixing other problems. Regression testing is commonly used to efficiently test the system by systematically selecting the appropriate minimum suite of tests needed to adequately cover the affected change. Common methods of regression testing include rerunning previously run tests and checking whether previously fixed faults have re-emerged. “One of the main reasons for regression testing is that it's often extremely difficult for a programmer to figure out how a change in one part of the software will echo in other parts of the software. “Regression tests” is the concept of testing that asserts that everything that worked yesterday still works today. To achieve this, the tests must not be dependent on random data. Performance testing is in general testing performed to determine how a system performs in terms of responsiveness and stability under a particular workload. Performance testing is executed to determine how fast a system or sub-system performs under a particular workload. or a large number of users. This is generally referred to as software scalability. The related load testing activity is often referred to as endurance testing. Volume testing is a way to test functionality. Stress testing is a way to test reliability. Load testing is a way to test performance. There is little agreement on what the specific goals of load testing are. The terms load testing, performance testing, reliability testing, and volume testing, are often used interchangeably. Stability testing. checks to see if the software can continuously function well in or above an acceptable period. This testing is oftentimes referred to as load (or endurance) testing. Internationalization and localization. It will verify that the application still works, even after it has been translated into a new language or adapted for a new culture (such as different currencies or time zones). Destructive testing attempts to cause the software or a sub-system to fail, in order to test its robustness. Usability testing. check if the user interface is easy to use and understand. In a data-driven test, you will store test data (input, expected output, etc) in some external storage (database, spreadsheet, xml-files, etc) and use them iteratively as parameter in your tests. How do you determine “Concurrent” users? Take time zones into account e.g. for a “Global” implementation divide the “Total” number of users by 3. Here the supplier is converting the needs (the 'what') in to the methods (the 'how'). This document defines for him how he intends to fulfil the URS. At the same time, and following on from the URS, some form of test specification should be beginning to emerge. How can we tell if it's working OK? What will be the agreed measures? 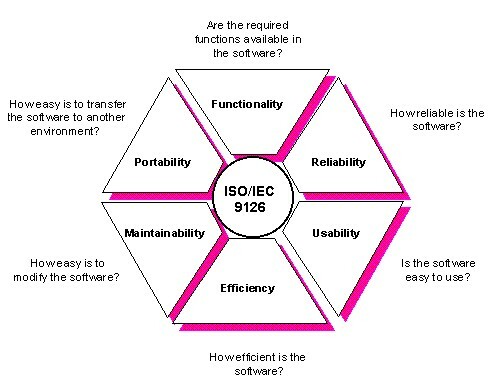 Once the machine/system/software has been assembled at the supplier's factory there should be a formal test with checkpoints and performance measures to prove that it is capable of meeting the URS. NB This does not mean it has to meet the URS there and then. That may be impossible until it's finally plumbed in on site. Very often customers will ask to be present at the FAT to witness this before giving permission for the system to be shipped to their site. Some projects will have stage payments on successful completion of a witnessed FAT. Carried out at user's premises with equipment installed and ready to run. Must prove that it can do everything agreed in the URS. This is the point where the user satisfies himself that the system is substantially as requested and accepts delivery of the equipment. From that point he gets invoiced for the system. Further work may continue by the supplier, but this should be agreed and defined in change notices or deviations to original specifications, and I would expect most of this will represent an additional charge. DUTIES: Work on complex problems of diverse scope where analysis of situation or data requires in depth evaluation of various factors which may be difficult to define, develop quality standards for Yahoo products, certification & execution of software test plans & analysis of test results. Write test cases, develop automated tests, execute test cases and document results, and work closely with engineers and product managers while writing defect descriptions. Define testing strategy, test plan, and come up test cases for Search BE/API. Implement test cases in Java code utilizing existing test framework. Write automation code. Utilize automated test suite to drive on functional test, certify release candidate, and provide sign off for weekly releases. Enhance automation tools and continuously improve team efficiency. REQUIREMENTS: Bachelor’s degree in Computer Science, Engineering or related technical field followed by 8 years of progressive post-baccalaureate experience in job offered or a computer-related occupation. In the alternative, employer will accept a Master’s degree in Computer Science, Engineering or related technical field and 6 years of experience in job offered or a computer-related occupation. Difference betweeen SAT, FAT, UAT, USR?